This afternoon we took two sweet families to the hospital. One of them was our lovely Marya and her Dad. On our way Marya tried to cry in the car but we did our best to try and distract her. We had to wait a long time in the hospital because Marya had the last appointment of the day. But both Marya and her father were so patient. 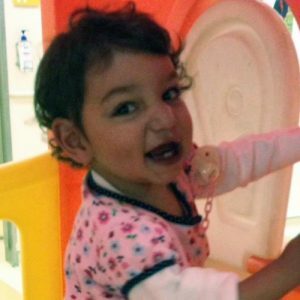 Marya then had her first echo and follow-up with her cardiologist. The doctor was very happy and pleased with her progress and recovery so far. We were also blessed as he was very nice and funny with Marya and with us. He cannot speak Kurdish but he tried to make Marya laugh and make Dad happy. He reminded us that he was the doctor who made the first echo on the night when she came from the airport. The echo showed that her heart is strong, is working well and she doesn’t have liquid around of her heart. Her oxygen level is also good. Praise God the doctor was also able to reduce her medication schedule as Marya’s progress is so good. The doctor did share that he thinks that in the future (he doesn’t know exactly when) Marya may need another surgery. Dad is a little disappointed because he wishes that his beautiful daughter will not need this as of course all parents would feel. However, for now, it is good news. 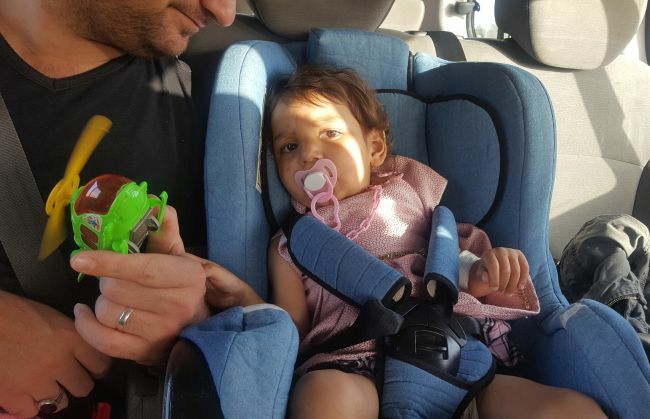 The doctor wants to review Marya’s oxygen levels over a period of 3 weeks and monitor how she is doing. If she continues well she can go home. I was very happy to hear how well she is progressing and also I am so joyful when i check her and her oxygen is above 90% as before surgery it was really low. She is a little weak at the moment and cries a lot because it has only been 11 days since her surgery but she is doing great. I am so thankful with God because her father really is doing an amazing job with her everyday . Please pray for Marya’s complete healing and for peace in her father’s heart. Marya had the good news today she could return back to the Shevet house! 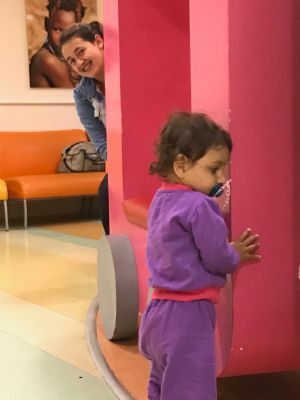 Her dad was very ready to leave the hospital and was waiting on the edge of his seat while the discharge report was written and medications prepared. Marya was actually a bit sad to leave and was crying as we headed down the elevator, but her dad soon distracted her with a toy helicopter and all was well. It was lovely to see how close father and daughter are as Marya’s dad lovingly stroked her face in the car on our ride back. Please join us in continuing to pray for Marya’s healing and that her follow-up appointments will all have good results. Praise the Lord for the return of this sweet family back to our base! In the afternoon I went to visit our beautiful Marya. She was sleeping and she had some chest tubes. Her Dad was very happy with her progress. Before the surgery her oxygen was very low but now it is better. I love her so much and I miss her smile so I tried to wake her, but today I couldn’t get a smile from her. She only opened her eyes and with her hands asked for my cell phone. Together we saw some videos. That was a comfort for her and a sweet time together. After a little bit I went to see Aram. She had just gotten out of her cath and was in the same room as Marya. But when I turned just for this moment, two doctors and one nurse came and they removed Marya’s chest tubes. Her Dad and I were very happy for that. Thank you Lord for a fast recovery. Please continue to pray for this beautiful baby and her complete healing. Today we visited Marya and her dad in ICU. Marya is extubated now and she is doing a lot better. Also the nurse told us that they will stop giving her oxygen so she can breathe on her own. We enjoyed having some chats with the dad and he said that Marya can have milk now. Just before we left they moved to Secondary ICU. It was good to see Marya’s dad as soon as we arrived at the hospital. He seemed reasonably relaxed, now that Marya has finished her surgery, which he has waited for so long, even to see if the surgery is possible! The report from the hospital was positive; they are reducing her medication and preparing to extubate her either today or tomorrow. Praise God for his healing in her life so far. Thankfully he kept her safe in these 24 hours post surgery, which are so critical. Please pray that He continues to work in her life, and bring comfort to her dad. 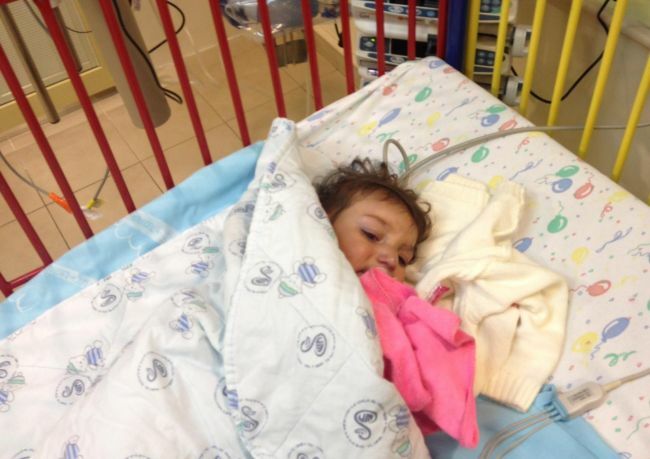 As the doctors took Marya into surgery at 8:45, Marya’s father patiently waited for her to return. The surgery went on until 2:30 pm and it was very successful. At this moment she is currently being monitored and sedated. The father was very happy to hear that the surgery went well. 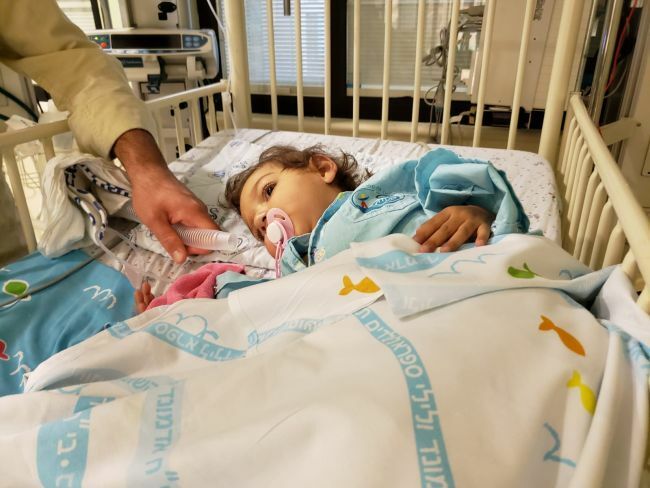 After talking with the doctors, we learned that a different procedure slightly bigger in fact was carried out which the doctors are hopeful will provide a better outcome for Marya. We are so thankful to God that this surgery has been able to take place and we pray that Marya is strengthened and healed by the hands of her Heavenly Father. 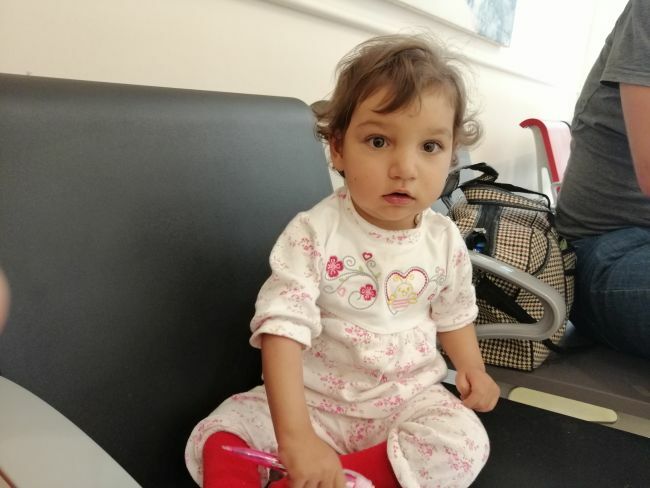 It is always a pleasure to take a family to the hospital, but today was very special because we took our beautiful Marya and her father for admission for her surgery! We have really been waiting for this moment! We prayed so many times for the will of God for her and the best plan for her. We know that her surgery is complicated, long and risky. But we trust in the power of God and we know that He has everything in control. Her Dad is so amazing and patient, he wants the best for Marya and loves her so much. He is so happy to know that her baby has the opportunity to have a better quality of life. Today Marya had to wait a long time at the hospital. But she enjoyed her time with the little park in the waiting room and also we shared some food. Finally in the afternoon her room in the ICU was ready. She went into her room very happy. 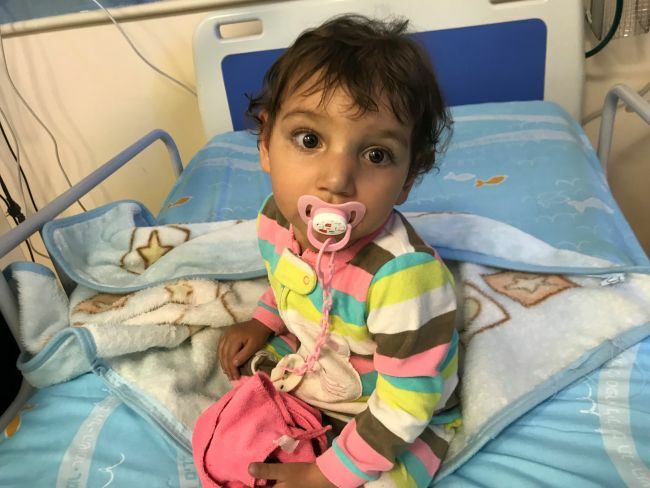 One of the doctors entered her room and told us, “She is ready for her surgery.” The doctor was very happy because the last time she saw her, Marya had a virus and wasn’t well. We went with her for a chest x-ray and then we left her in her room. She was all smiles and with her little hands told us bye-bye. Finally tomorrow she is going to have her surgery. Please pray for this beautiful baby, for wisdom for the medical team, and for her fast recovery! 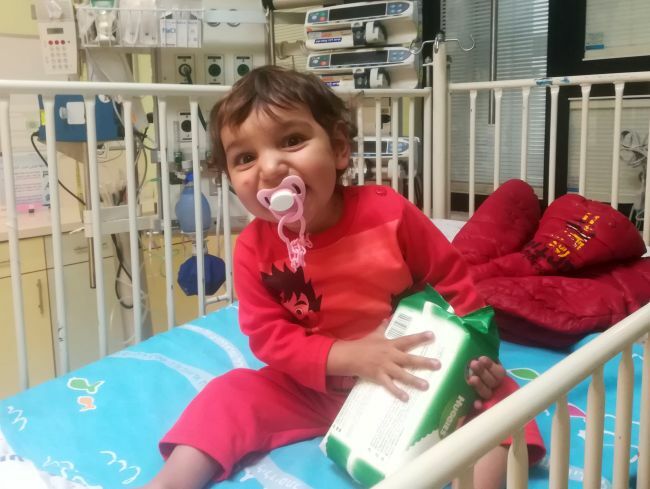 Today was a good day for Marya, because finally we have got news that the medical team have decided they are able to operate on Marya’s heart. Thank God that there is a hope for her, as she is so full of life. She is adventurous, and is bravely learning to walk. She also loves colouring and being with her dad. She is smiley and nearly always happy, and so it is a joy to hear the news that they will be able to carry out a surgery which should make her little face and fingers less blue. 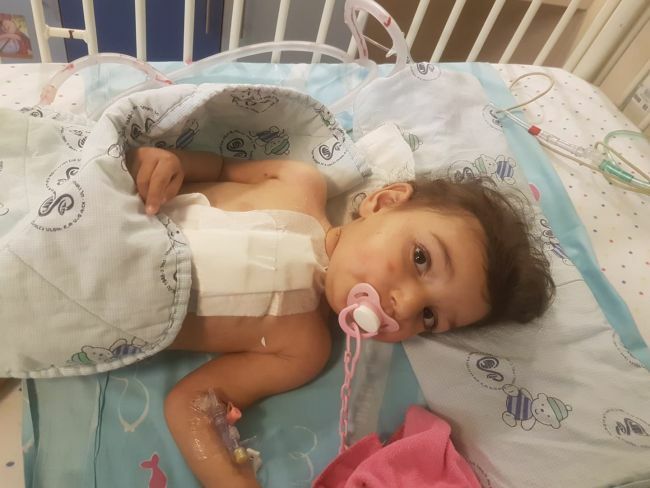 The doctor explained, with the help of translation from Mohammed’s dad, that due to the complexity of Marya’s heart, and her severe levels of pulmonary hypertension, the intervention needs to be carried out with 2 surgeries. There is a chance that her pulmonary hypertension will even be too much for them to safely carry out the second surgery; they will assess this with a catheterisation. This means that perhaps the first surgery will serve as a palliative measure, although it should really improve her quality of life. Even carrying out this first surgery is considered to be a high risk procedure, and so please pray for Marya’s little life. 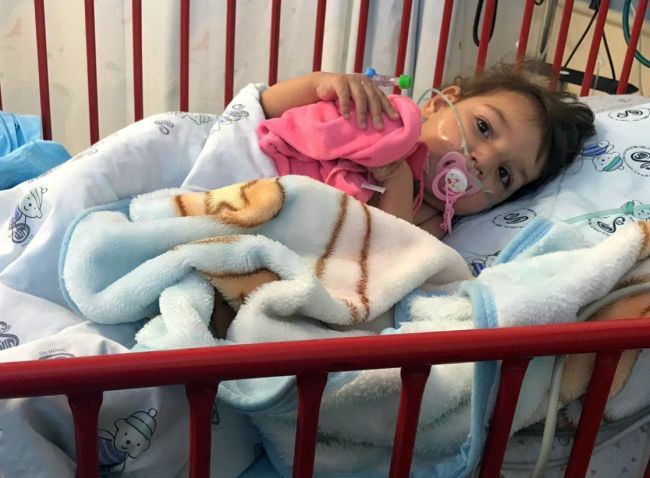 Her father says that her life is in the hands of God, and so we need to keep interceding for her during this time, that God will keep her safe and heal her heart. We will find out tomorrow more about her surgery date, it could be Thursday or on Monday next week. I first saw Marya and her dad today whilst I was in the outpatient department with another child. 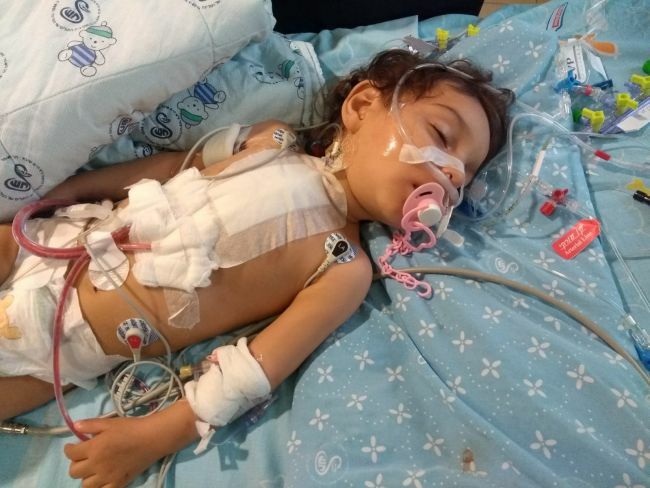 The cardiologist was explaining to dad using another of the Kurdish mums for translation, that they still do not know the plan for Marya, and even if she is operable. It was clear to see on his face that this is difficult news for him to hear. But for today, as there was nothing further to be done at the hospital, he and Marya were just keen to come home. They did have to wait for many hours to be discharged, but it was lovely to speak to him during this time. He explained that for the last 8 years has been part of the Kurdish forces fighting against ISIS, and showed me a slideshow of photos. He shared about the loss of some of his friends during the fighting, and thanked God that he didn’t have injuries. 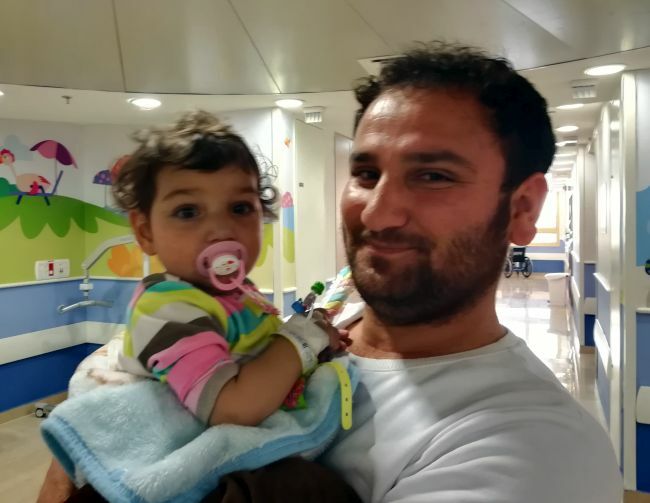 So this brave man is now following another path of hope; he has brought his precious only child to Israel and hoping that the doctors here will be able to save her life. At the moment, the answer is not certain. I really hope and pray that Mary’s father will come to know that he can place his daughter into the hands of our Father in heaven. The all powerful one who first loved us. Please pray for Marya. Today we had the opportunity to visit Marya and her father after she had her cath this morning. We did not arrive at the hospital until after it was completed, so we saw her after. After talking with nurses and doctors, they were able to tell us that it went well and that she was doing well. We did not get much more information other than she was doing well. We had to be very gentle in visiting with her, because when we would get close we she would begin to cry thinking that we were doctors or nurses. We spent a few minutes speaking and singing softly and playing peek a boo with her. We only got to visit for a little while, because she had to get an x-ray for her chest. After traveling through the hospital to finish a couple more things, we went back up to see Marya, and found that she had changed rooms because she was doing so well. We ask that you pray for Marya and her father. Pray that Marya continues to have good news and that she heals well, and peace for Marya’s father. 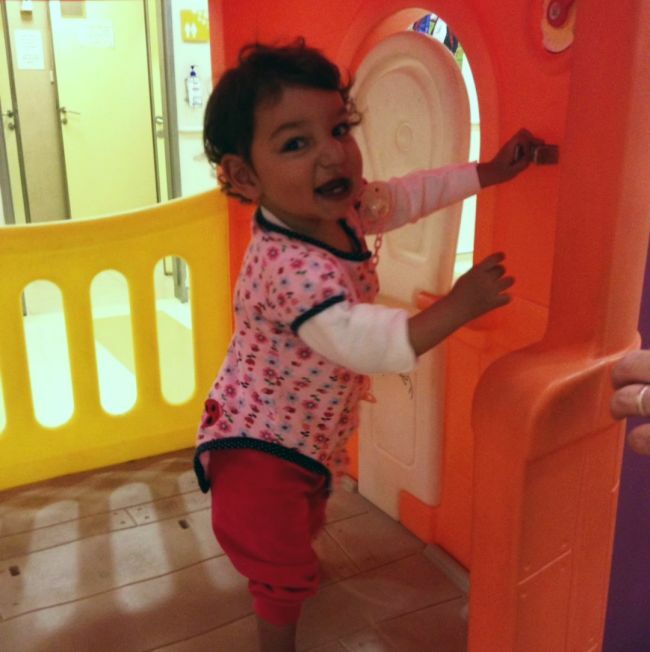 Today Marya and her father were admitted for a diagnostic catheterization scheduled tomorrow. Marya is a such a sweet and talkative toddler and made the long wait today, between tests and a ready hospital bed, pleasant. Her father is patient and is happy to be able to know more about Marya’s heart tomorrow. Please keep them in your prayers as they wait for her catheterization tomorrow. 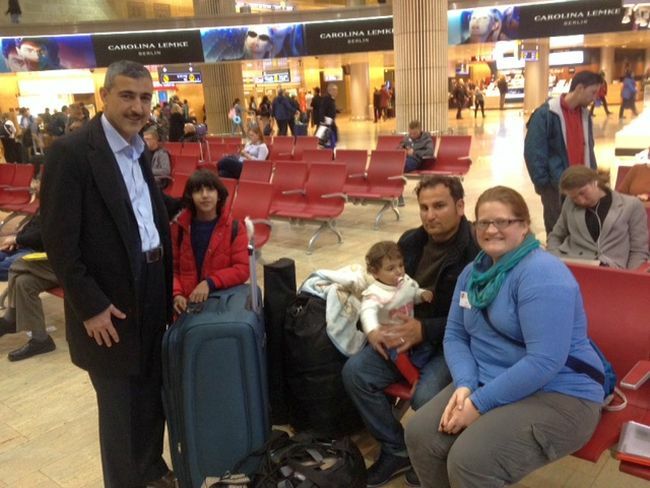 Marya H arrived with Hani from the airport earlier this week. She was brought straight to the hospital due to her oxygen saturation being below 80%, however, today we got word that they are happy for her to come home with us. She had a whole range of assessments, but no interventions at this time. The hospital staff have said that they will be in contact with further information about her plan, possibly the next step would be a catheterisation. So Marya and her dad have joined the other families back home. It’s a good time, as there are two other fathers, all Sorani Kurdish speakers, so hopefully it will make a nice community for them within our Shevet family. Sometimes it can be a bit lonely for the dads! But thank God, who has provided company this time, and pray they they will settle in well here. 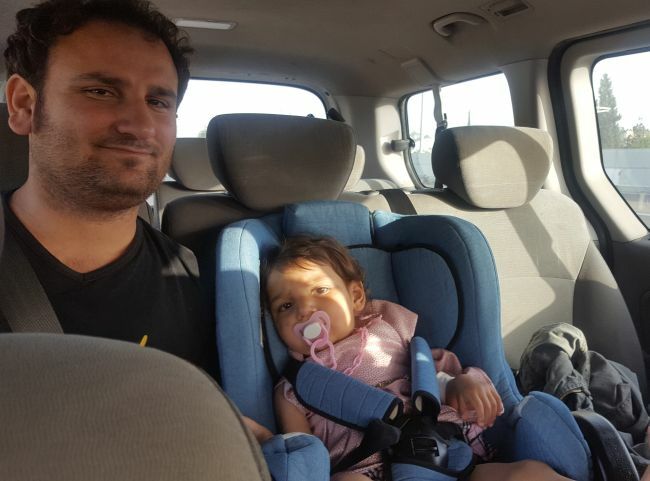 Israel Welcomes a Second Marya! Last night I had the privilege of meeting Marya and her father (as well as another child, Hani) at the airport as they arrived from Kurdistan. 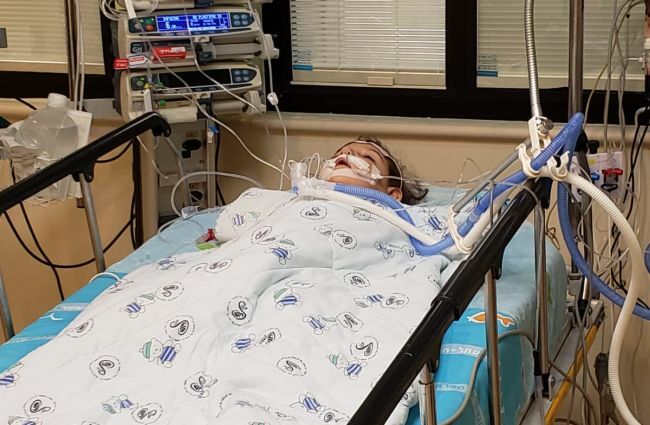 We knew that Marya would most likely need to go to the hospital right away and thankfully the ICU was holding a bed for us. After a quick hello I started checking her vital signs and her oxygen hovered around 75% without any supplemental oxygen. She is also sick with a cold, having a lot of mucus and struggling to clear her lungs. I called the ICU to confirm the bed and her arrival and we were off to the hospital. 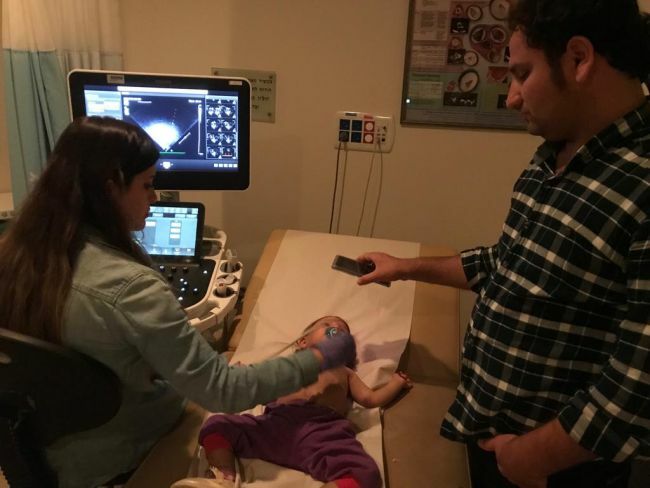 The staff was very welcoming and her father, while tired and tearful, remained brave by her side, comforting her amidst the ECG, IV and blood draw, and everything that is scary to a toddler in a hospital. When we went to check in on her today Marya was recovering from being sedated for a CT of her vessels (CTA) and an echo of her heart. Please pray for her as we wait to hear the full report from the cardiologist tomorrow. Praise God for her safe arrival, the space for her at Sheba, and wisdom of the doctors, both in Kurdistan and at Sheba. 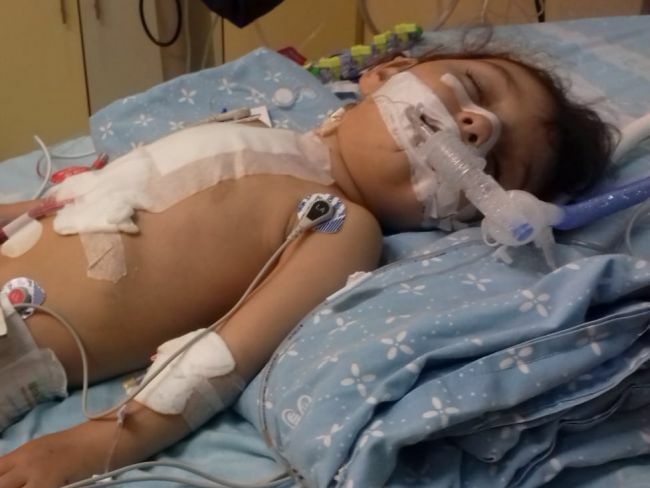 As of right now, Marya H still needs $6000 toward surgery and related expenses.